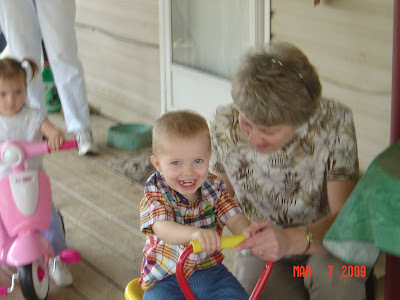 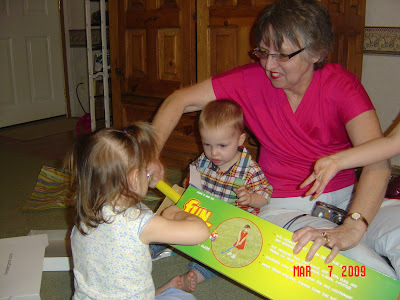 Grammy drove down for a week to celebrate the twins' second birthday with us. 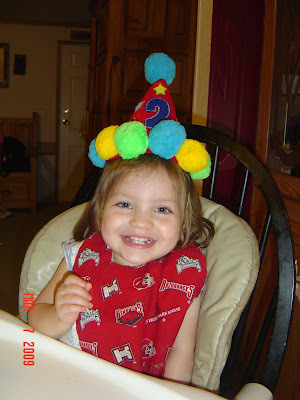 We had a great week together and the twins had a wonderful birthday! 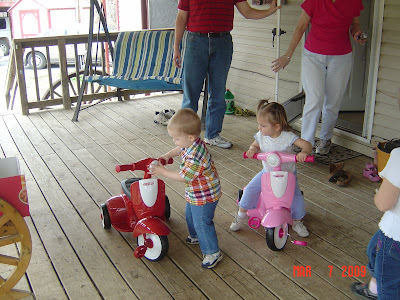 It's hard for me to believe that they are already 2!! 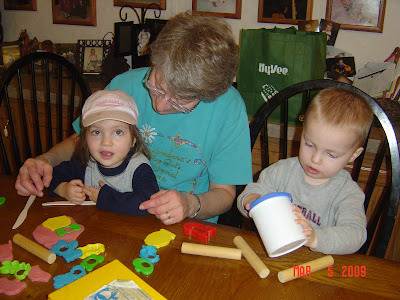 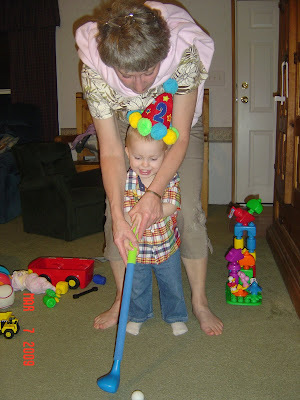 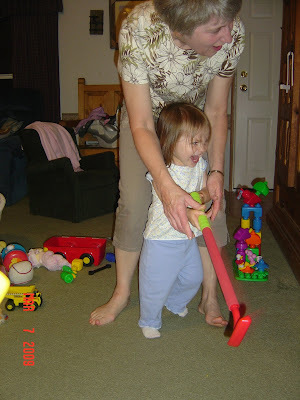 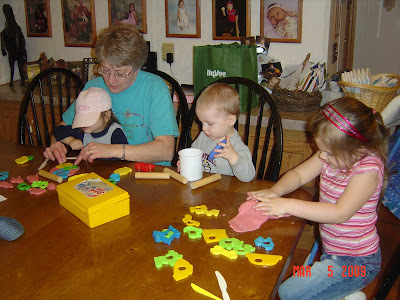 Grammy brought her homemade playdough and playdough tools....FUN! 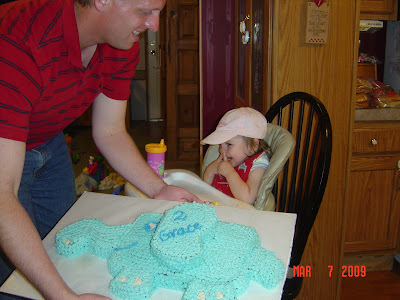 Grace gets her first look at her "Ellie" cake that Mommy made for her...I think she likes it! 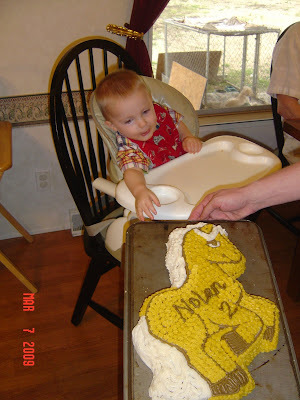 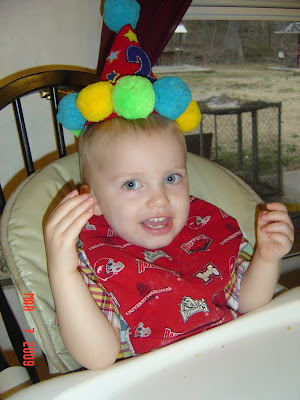 Nolan seems happy about his horse cake too! 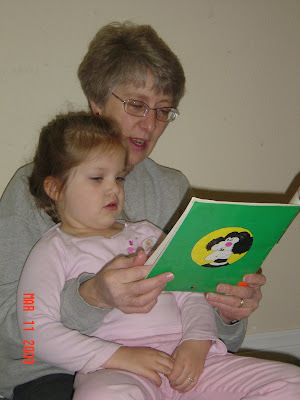 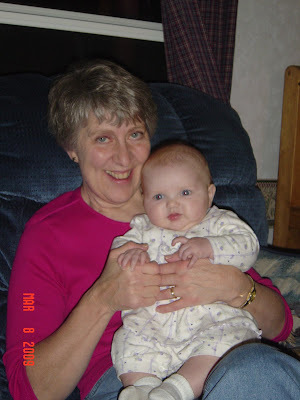 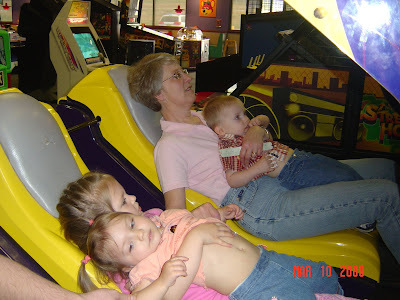 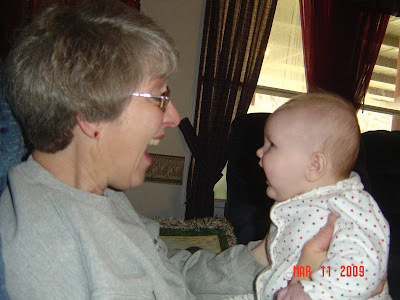 We took Grammy to Chuck E. Cheese...here they experience the roller coaster ride!